Huge Savings Item! Save 11% on the TotalMount Roku Mounting System (Compatible with Roku 3, Roku 2, Roku 1, and Roku LT) by TotalMount at Home Entertainment Centers Online. MPN: TM_Roku_Premium. Hurry! Limited time offer. Offer valid only while supplies last. This patented product is made by the trusted leader in media-player mounting. The Total Mount team consistently delivers quality and reliability. This patented product is made by the trusted leader in media-player mounting. The Total Mount team consistently delivers quality and reliability. 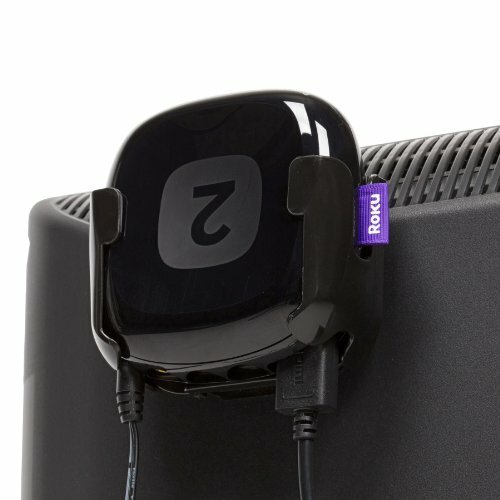 This mount enables easy installation of ROKU media players. Many customers appreciate that this mount eliminates the need to tunnel the HDMI cable through your wall (because the mount positions ROKU such that it has easy access to the HDMI port on your television). If you have any questions about this product by TotalMount, contact us by completing and submitting the form below. If you are looking for a specif part number, please include it with your message.